Report: A 4.7 Magnitude earthquake struck Meghalaya, tremors were felt in some parts of West and Northeast Bengal. 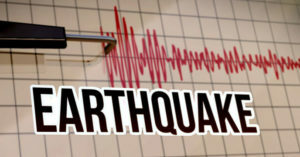 The Indian Weather Office confirmed that the area was struck with an earthquake by 8 pm. The epicenter of the earthquake was in the East Garo Hills of Meghalaya. The earthquake did not cause any damage and no casualties have been reported so far.